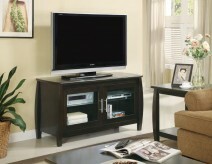 The bold contemporary Stanley 61in TV Console will add great style and function to your living room or family room. 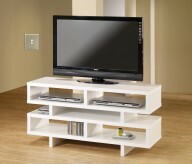 The sleek piece features a clean and simple design. The generous top surface will accommodate your television, while two spacious open compartments below are ideal for electronics components. 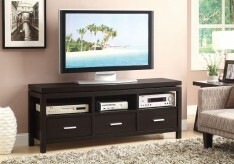 Three medium sized lower drawers offer additional enclosed storage for movies, gaming equipment, and other media items. 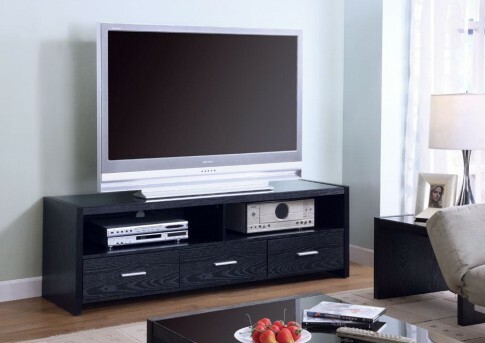 The rich Black finish will complement any decor, with simple silver tone metal handles for a cool contrast. 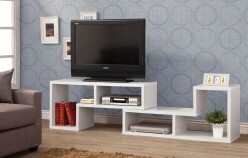 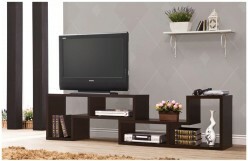 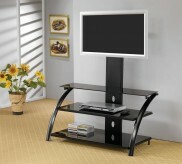 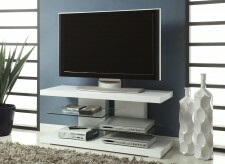 Create a distinctive look in your living room with this exquisite contemporary TV stand. 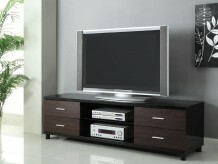 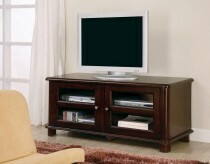 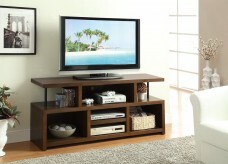 Furniture Nation is proud to offer the Stanley 61in TV Console online. 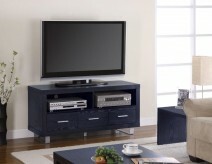 We serve customers across the DFW region including Arlington, Weatherford, Burleson and many more. 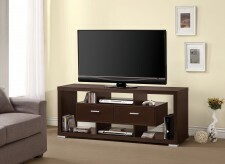 L61.25" x D17.75" x H19.75"